Lasse founded ENORM back in February 2016. ENORM develops and produces food containing insects as a sustainable source of protein. Today their products are sold in 200 stores around Denmark including Føtex and Bilka. 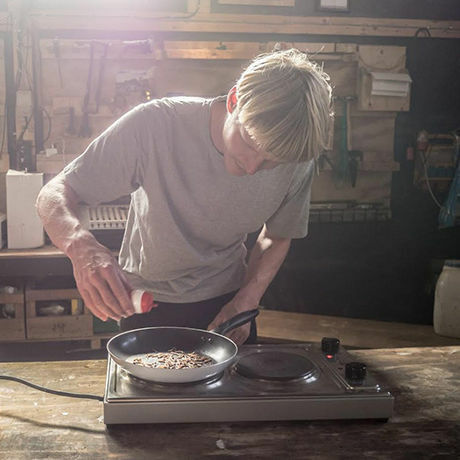 Last year Lasse founded ENORM BioFactory A/S with the goal of having a production of 30 tons of larvae a day in 2020 to be used for consumption. Lasse is curious by nature and is passioned about trying new things in order to become more sustainable in the way vi use our resources.